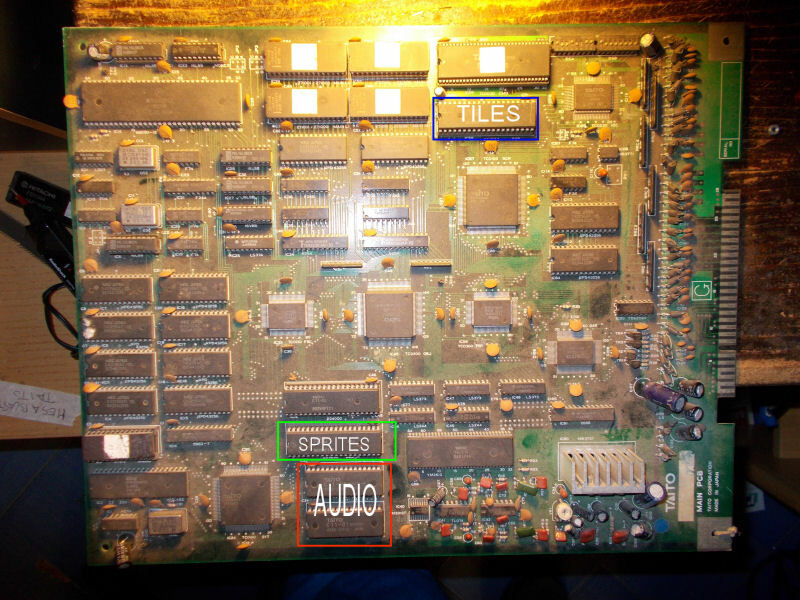 Replacing these bad MASK ROMs with the equivalent EPROMs fixed completely the game. That game always sounded interesting to me. Glad you got it fixed ! These 42pins mask roms present on Taito F1/F2 boards seems to be fragile. I had to replace a bad one on a Thunder Fox as well.